Pilot Careers | All new Pilots earn $15,000 bonus at Envoy! All new Pilots earn $15,000 bonus at Envoy! Effective immediately, Envoy Air Inc. now offers new hire pilots a $15,000 bonus when they join the company. As a wholly owned subsidiary of American Airlines Group, Envoy offers guaranteed flow-through to American Airlines without having to interview again – or compete with the thousands of pilots who apply to American every year. Envoy pilots currently make up half of every American Airlines new hire class – in fact, nearly two thirds of American new hires since 2010 started their career at Envoy. “We project that a pilot hired today will upgrade to Envoy Captain in two and a half years,” added Wilson. “And with our industry-leading flow-through program, he or she can enter training at American Airlines in less than six years from hire. “From this substantial signing bonus and a growing fleet of 76-seat Embraer 175 aircraft to shared bases with American in Dallas/Fort Worth and Chicago and a generous commuting policy, our pilots’ quality of life and career prospects are nothing short of outstanding,” said Wilson. 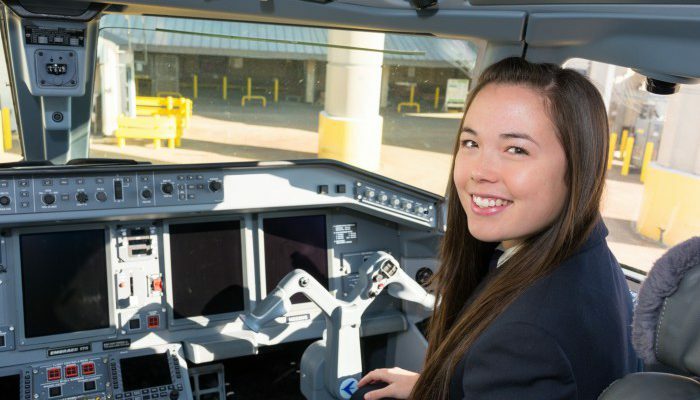 Contact EnvoyPilotRecruitment@aa.com or call (972) 374-5607 for details – and apply today!